Posted on Thu, Mar 22, 2012 : 6:30 a.m.
Comedian Jeff Dwoskin will headline YAD’s Night of Hilarity and Charity on Tuesday evening, March 27 at the Ann Arbor Comedy Showcase. Doors open at 7:15, and the show begins at 8 p.m. Tickets are $18 with advanced reservations online at www.jewishannarbor.org or by phone at 734-677-0100, and $25 at the door. 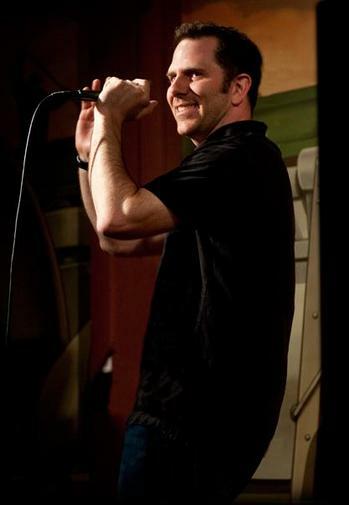 Dwoskin, a Michigan native and comedy club circuit featured act, takes on a variety of topics and uses his own personal blend of sarcasm and unique insights and delivery to entertain his audience. Mike O’Keefe will open the show. YAD is the young adult division of the Jewish Federation of Greater Ann Arbor. The program is co-sponsored by Hillel of Eastern Michigan University, the University of Michigan Jewish Association of Graduate Students and the TNT group of Temple Beth Emeth. Appetizers will be provided by Simply Scrumptious Catering. Kosher dietary laws will be observed. David Shtulman is the executive director of the Jewish Federation of Greater Ann Arbor. He can be reached by e-mail at david@jewishannarbor.org and by visiting www.jewishannarbor.org.